Getting Your Read On: Escape to Everly Manor by Chalon Linton + $25 and Book Giveaway! 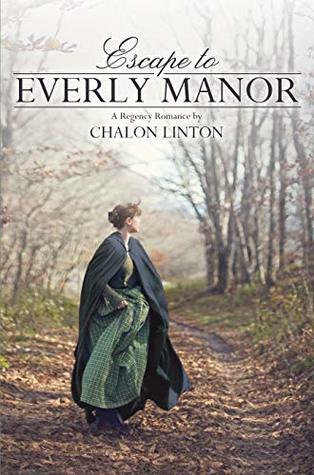 Escape to Everly Manor by Chalon Linton + $25 and Book Giveaway! From the very first moments of this book, I knew I was going to love Lizzy. She is determined, loyal and courageous. Her devotion to her brother was so endearing and I swear I could just feel her frantic desire to protect him. I was right there with her. And Barton? Yeah, I really loved him too. Kindness is one of the most attractive qualities in a man, I think. Barton was ever so kind and a born protector. I loved that. And him. Did I say that already? Sometimes regency books can be a little placid in nature but not this story. I loved that from the very beginning there was tension and that feeling of intensity that kept building. I could feel that things were going to explode at some point but I just didn't know how. It was awesome. The ending was so satisfying. Take that, bad guys! I really enjoyed this one. I read through it quickly because I just didn't want to put it down.